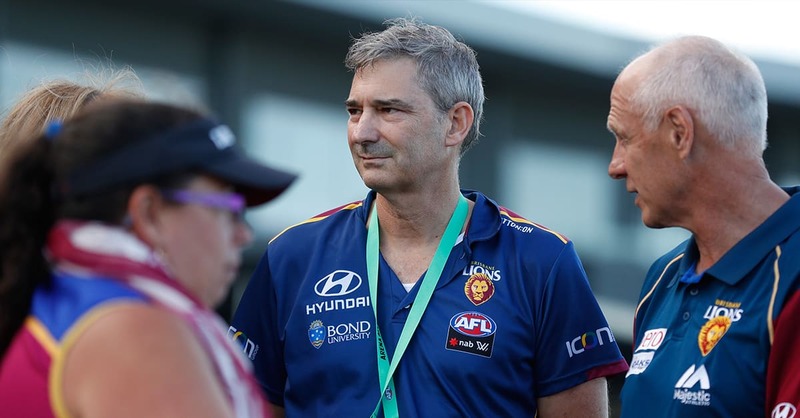 Each month on lions.com.au, the Brisbane Lions' Chairman Andrew Wellington will be answering the questions you have. Stephen - My major concern is how the Club is set up financially. The club can never grow when it loses $1-2 million each year and relies on AFL support to keep the bankers away. What plans does the Club have to generate profits with minimal reliance on AFL distributions? The club has mentioned commercial opportunities at Springfield and renegotiating the Gabba agreement to reduce rent. What are the commercial opportunities? Will there be a significant cost saving at the Gabba? I imagine the Club will be excited with the possible changes to the Gabba mooted last week and potential of improved revenue streams. Also, being in Melbourne you see clubs like Richmond, Collingwood, Hawthorn with huge membership numbers but even the Bulldogs and North Melbourne have 40,000 members. I know we can't match the high numbers but surely in a city as big as Brisbane we could reach 40,000. What are the plans to attract and retain new members? Hi Stephen, thanks for your question. As our on-field performance improves leverage that into increased membership, corporate support and match day crowds. We have prepared a plan which shows us that the combination of these factors will allow us to be profitable at current AFL funding levels. On membership, we are always trying new initiatives to attract new members, including new packages like the Flexi Membership and Ultimate Weekender. We do lots of work in the community trying to reach new fans and convert them to Lions fans. Earlier this year we gave away 450 guernseys to local U9 juniors, with the goal to give away 1000 by the end of the year. Through our AFLW team we have also reached a whole new audience and demographic. AFL is enjoying significant growth in Queensland which will help to attract new fans. Our performances the last decade have made it difficult to attract new members, but I’m sure our membership number will improve as our performances on the field do. Clubs that have experienced success recently (Hawthorn, Collingwood, Richmond, Bulldogs) have naturally seen a spike in membership numbers. Kin - As you look towards building a new base out at Springfield which is way further west, how do you intend to keep the rest of Brisbane and North/East/South areas engaged as they are much further out to Springfield? There should be no real change in our level of engagement with members no matter where they are. Most of our interaction with members and fans is on match day and associated events and they will still be at the Gabba. Springfield is very accessible by public transport, with our proposed base being very close to the Springfield train station. Having complete ownership of the ground will allow us to conduct more events like open training sessions, which aren’t feasible at the Gabba often due to getting access to the ground. We will still have players and staff attending community events all around Brisbane just as they do now. Peter - Whilst I love what the Lions represent I feel there is still a lot of old Fitzroy people with half an interest in our club I believe if you could get the approval of your board and the AFL to use the old Fitzroy jumper for our Victorian games I believe it might get our Membership up similar to what the Swans have done. What do you think? We play in our away guernsey with the Fitzroy ‘red’ colour in Melbourne to acknowledge our Fitzroy history. Similar to how we wear a Bears-inspired jumper as our clash guernsey. We aim to stay connected and engaged with our Victorian base as much as possible. An example of this was the inaugural Brunswick Street Bash held earlier this year. The Brunswick Street Bash earlier this year. Brian - I am a Melbourne based supporter of the Lions and the thing that annoys me most is how I keep reading about Victorian born players from GWS and Gold Coast are being lured back to Victoria. The news today is how Collingwood are working out how they can make salary cap room for Tom Lynch from GC. Is it such a long stretch for Brisbane to make an audacious move for Tom Lynch as a key goal kicking forward? He would accelerate the Lions progress enormously and bring crowds back to the Gabba. I fully support the concept of going back to the draft to bring in top line young talent but Brisbane need a high profile superstar to do for Brisbane what Buddy Franklin has done for Sydney. I suspect there is a little more room in our salary cap to achieve this than would be available to most Melbourne based clubs. So my question is are we going after a big fish goal kicking forward? E.g. Lynch. We are always looking at the best ways to enhance our list. If we look to sign a free agent it has to be the right player and at the right cost. The recruitment of Luke Hodge and Charlie Cameron in the trade period last year are examples of the right players coming to the Club. Luke brings experience and enormous leadership to the team, while Charlie is one of the most exciting players in the competition. Both help to bring in crowds and media attention due to their statuses. The list management team is always assessing not only our list but those of the other 17 clubs to identify opportunities. Maureen - My question relates to the fact that your predecessor used to communicate regularly with the Members by email, whereby he used to update us all regarding what is going on around the Club, and what is planned for the future. My wife and I found his reports extremely informative. My question is – Do you intend to follow his lead and also communicate with the members? Maybe even expand upon it? This is good feedback, thank you. I will look at preparing a more regular email and I will be answering questions each month on lions.com.au in this column. Much of what happens during the season is around the playing list and matches and the Club is regularly updating our members via the website, email and social media. I try and get to as many Club functions as I can, so I can speak to members face-to-face, but it’s a good prompt for me to think about a more regular communication that can reach out to all members. All members and fans are invited to submit any questions they have. Send your questions through to askthechairman@lions.com.au and the best five questions will be answered each month.